Imagine painting a beautiful piece of furniture, spending hours transforming it into your dream “Pinterest” piece and a few months later your paint starts peeling off. Ahhhhh!! Well, let me help you remedy this potential disaster before it even happens. 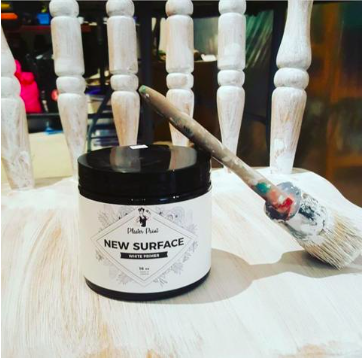 Plaster Paint Canada has a product called New Surface that helps with paint adhesion. 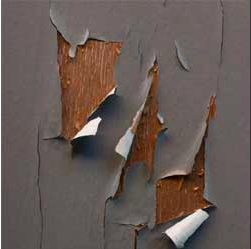 If your paint is peeling off it’s telling you one of three things: 1) your furniture piece is either too slick, not allowing the new paint to stick; 2) it’s been oiled and is greasy; or 3) your piece is painted in a alkyd (oil-based paint) not allowing a water-based paint to stick to it. Luckily, New Surface can be applied to any piece of furniture, glass, metal, or wood that has any of these three surfaces. All that’s needed is one light coat before you paint and BAM, you’re ready to start painting. And yes, this also means you DO NOT need to sand first. Pro tip: New surface can also be used to block colour from coming though. If you have a bright or dark colour you want to cover with a lighter one, it sometimes is hard to cover that old colour up. New surface can completely block that colour and allow you to start fresh with your new colour, similar to a primer. Now that your New Surface is on it’s time to decide what paint you want to use to transform your piece. Stay tuned for our next blog on choosing your paint. Take care and remember to always be creating!